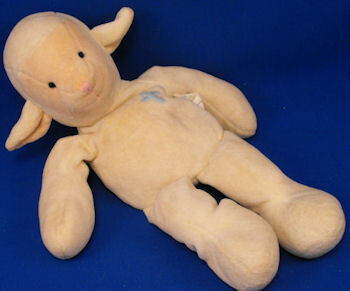 We have a mailing list of people looking for this lamb. My 8 year old daughter got this lamb when she was born and called it Lamby. She just said to me the other day she would like to get a replacement, as hers has lost most of the velour fabric from multiple washings. Additionally, Lamby had an ear chewed off by one of our dogs (re-sewn back on) and had to have its eyes replaced when the stitching came out. Even with all of that, my daughter still loves her Lamby and sleeps with it every night. I too have had numerous of theses lambs which I called Lovie, I am 16 years old and down to 4 and they are in very bad shape. At this point I will pay however much to find another lovie for me.